The Tank Trap Adaptor enables the 'H' Frames to be used with out T54250 Tank Trap creating a floor-standing assembly. Two adaptors and two tank traps are required to make a floor-standing base. 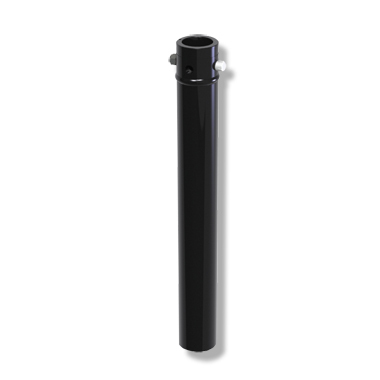 Supplied powder painted in silver or satin black with a tapered pin. The tank trap adaptor is ideal for rental houses or users who already own our tank traps.